ALTON, Va. - ArmsUp Motorsports drivers John Greist, Revere Greist, Jeff Pietz and Pat McGinnis combined to score four podiums and seven top-five finishes is the team's maiden visit to the Virginia International Raceway. 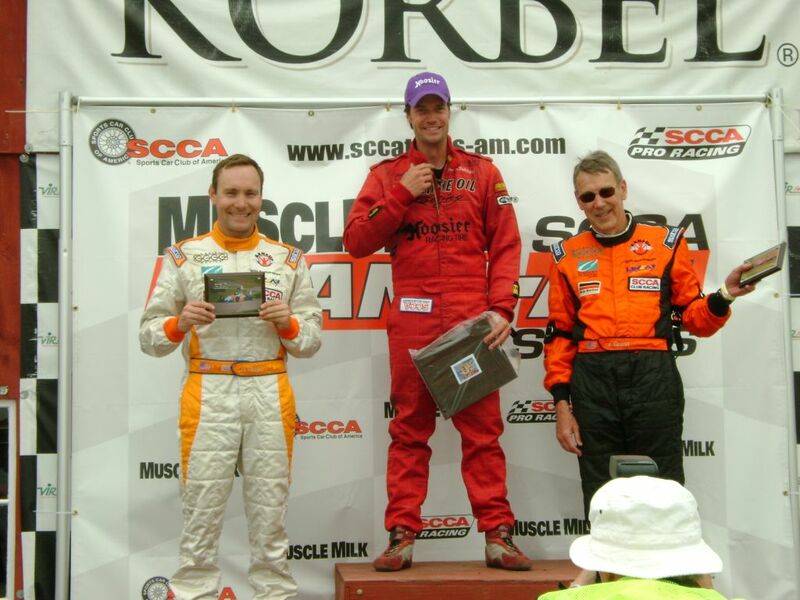 Competing in the SCCA's North Carolina April Double National John Greist, Revere Greist and Jeff Pietz all stood on the podium at one point during the double race event. For Sunday's event Revere Greist earned the team's first Buckeye of the season by scoring the pole for the Formula Continental race. 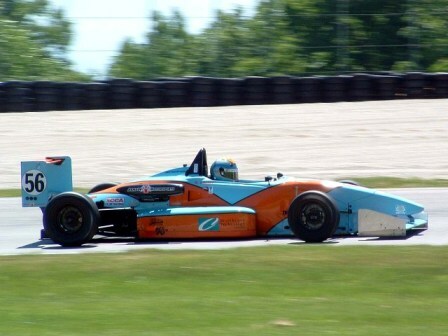 MADISON, Ill. - Jim Victor and Pat McGinnis made their 2009 race debuts in fine fashion scoring a second and a third place finish respectively at the SCCA St. Louis Region "Wins" National. The ArmsUp Motorsports team was greeted with extremely cold weather and rain for their three day stint at the Gateway International Raceway. The cold combined with Rain forced the team to skip Saturday's regional to save the equipment for Sunday's national run. McGinnis was able to score a podium finish in his maiden outing with the team in a brand new car. Victor, who scored a win in the final race of last season, picked up right where he left off 2008 with a solid drive to second place capping off a fast opening weekend for the Iowa native. Jim Victor opened his 2009 season with a solid second place run at the Gateway International Raceway. SAVANNAH, Ga. - ArmsUp Motorsports driver's Revere Greist and John Greist scored a second and third place finish at the Roebling Road Raceway to open the team's 2009 race season. John Greist's first SCCA National podium was the highlight of an up and down week in Southern Georgia for the ArmsUp group. The teams two other drivers at the event, Rick Balsley and Jeff Pietz, were unable to finish the event as both drivers suffered damage at different points in the weekend. SHEBOYGAN FALLS, Wis. - ArmsUp Motorsports, one of the top SCCA Formula Continental teams, will bring the long Wisconsin off season to an end this week in Savannah, Georgia. 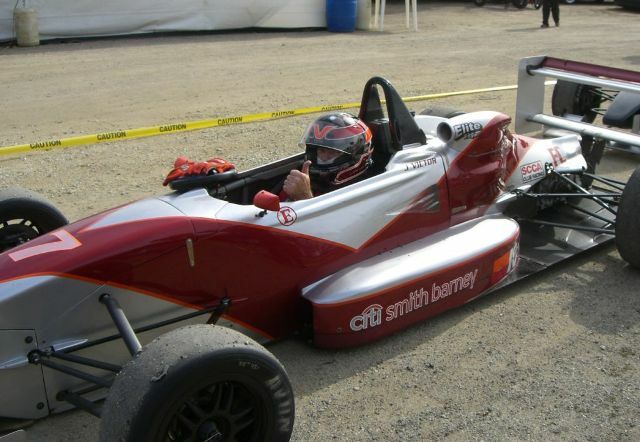 The ArmsUp team will begin their season with a two-day test at the Roebling Road circuit March 3rd through 4th. Immediately following the test the Elkhart Lake, Wisconsin team will get their first taste of racing action at the Tom Nehl SCCA National. Returning drivers Revere and John Greist will lead a four car team on the flowing Georgia track. Two new drivers to the ArmsUp team, Rick Balsley, who made two starts with the ArmsUp Motorsports in 2008 and Skip Barber regular Jeff Pietz, will join the Greists for the Savannah event. SOUTH BELOIT, Wis. - Jim Victor scored his second victory of the season on Sunday at Blackhawk Farms in South Beloit, Illinois. The ArmsUp Motorsports driver put in a dominating performance leading every lap en route to the SCCA Fall Sprints Formula Continental race win. Victor's win was part of a 1-2 ArmsUp sweep as Rick Balsley came home second from sixth place on the grid with a fine drive. Revere Greist capped off the weekend by taking the Formula Continental pole on Saturday in what was the final event of the 2008 season for ArmsUp Motorsports. 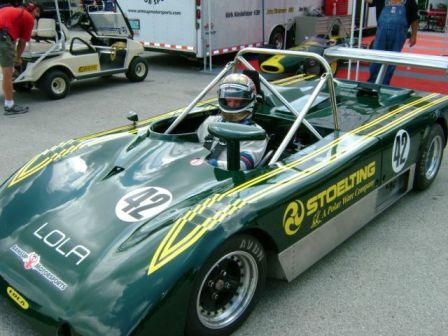 ELKHART LAKE, Wis. - Walter Vollrath scored his first podium finish behind the wheel of his 1978 Lola 497 Sports Racer at Road America over the weekend. Competing in the Vintage Sports Car Drivers Association's Elkhart Lake Vintage Festival Vollrath never put a wheel wrong while lowering his time each session on the track. Vollrath scored a fourth place finish in Saturday's sprint race in the Under 2-Liter Prototype category and followed that up with a third place result in the Feature event on Sunday. ELKHART LAKE, Wis. - ArmsUp Motorsports dominated the SCCA Kettle Moraine Double Regional event last weekend at Road America. A constant rain turned the six car ArmsUp fleet into a flotilla with the first day and a half of racing held under wet conditions. The difficult conditions did not slow the Greist Family with Revere taking two poles along with an overall race win and John Greist taking the race two Formula Continental win to complete the sweep. Jose Paredes also picked up the overall victory in race two capping an ArmsUp Sweep of the weekend. 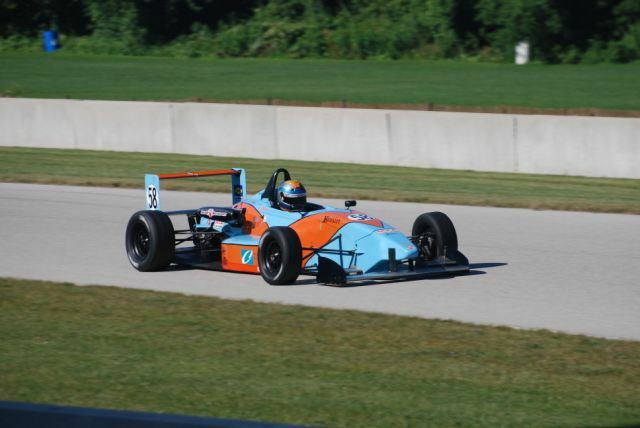 John Greist claimed his first SCCA victory this weekend at Road America. ELKHART LAKE, Wis. - ArmsUp Motorsports had an eventful month of July, running in three different disciplines of motorsports over three weekends. 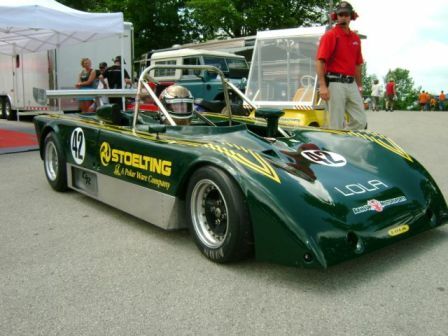 Kicking off the three week stint, Walther Vollrath made his race debut in his beautifully-restored 1978 Lola 497 C-Sports Racer at the prestigious Kohler International Challenge vintage race. Returning to Road America one week later, Revere Greist led a five-car ArmsUp armada to a third-place result in the SCCA Club Racing Cathouse National. 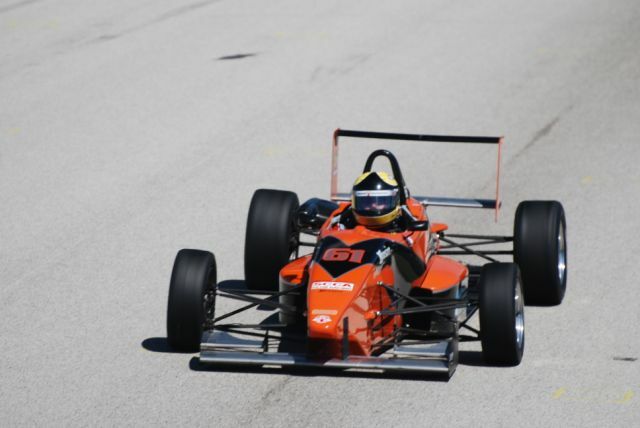 After a year absence, ArmsUp Motorsports returned to the Pro Racing scene; scoring a podium finish with Revere Greist in the F2000 Championship Series. The result was a continuation of the success ArmsUp Motorsports has achieved every time it has stepped up to the pro level. 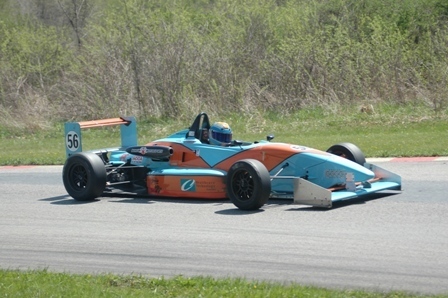 Revere Greist scored his first professional podium finish with a third place during the F2000 Championship round at RA. SHEBOYGAN FALLS, Wis. - ArmsUp Motorsports raced cars from two different racing eras in two consecutive weeks at Road America. After two years of refurbishing Walter Vollrath's 1978 Lola T497, the car made its debut at the prestigious Kohler International Challenge vintage racing event. 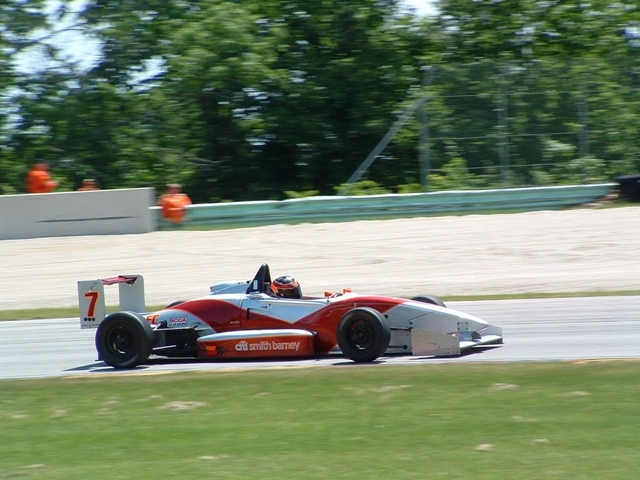 One week later, ArmsUp was back in action with the Formula Continental and Formula Atlantic cars at the SCCA Cat Nationals; scoring podium finishes in both classes. Elkhart Lake, Wis. - Revere Greist continued ArmsUp Motorsports' run of success at the June Sprints last weekend at Road America. Greist led an armada of ArmsUp Motorsports cars that took four of the top seven positions in the Formula Continental field. John Greist, Jim Victor, and Kirk Kindsfater ran in positions five though seven to complete a successful weekend for the ArmsUp team.